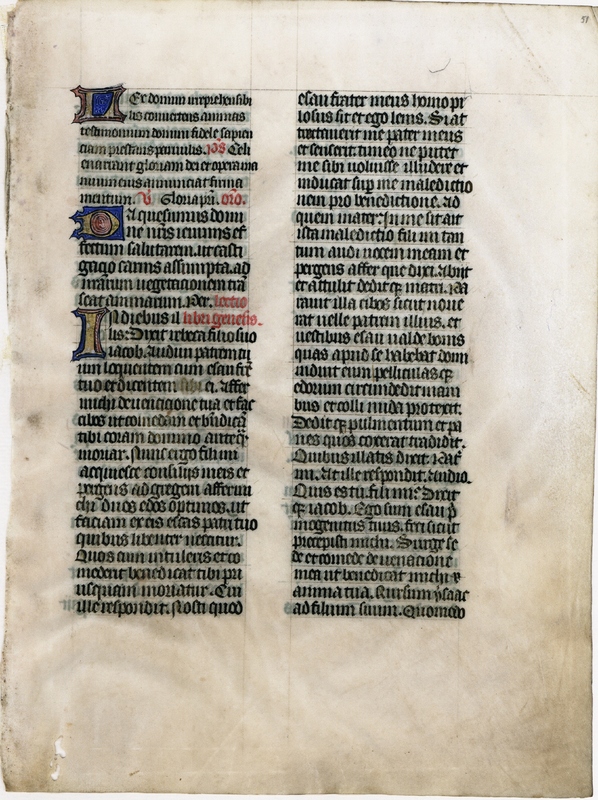 This leaf is from a missal of the late fourteenth century. It measures 29.5 x 21.5 cm, and Ege identifies it as coming from the French city of Rouen. 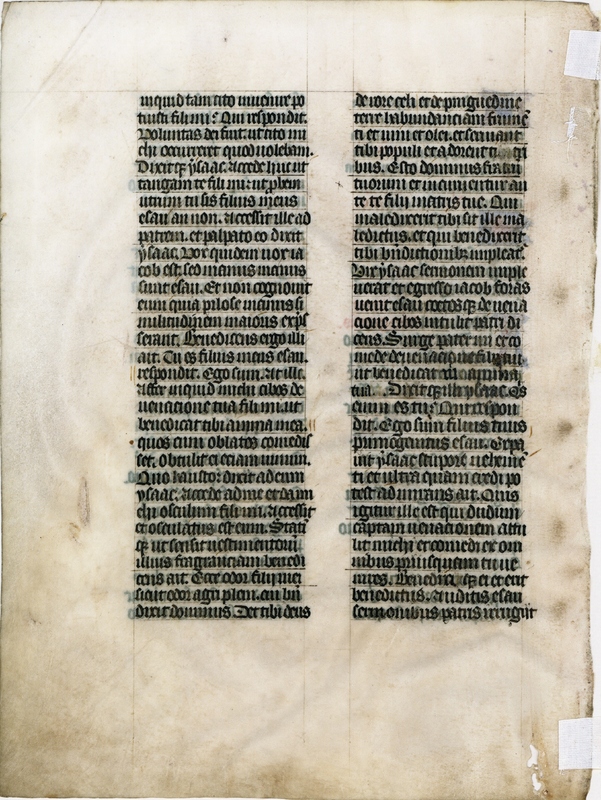 The dark slate-colored ink used for the text has been worn away over the years, sometimes significantly; this, combined with the angularity of the script, makes reading it rather difficult. The decorations are few but are neatly done; even small decorated bars or letters are illuminated. A distinctive presence of color is achieved by red underlining, which is extensive in some places. See Denison University Leaf 26 for more information about this manuscript. A transcription of this leaf is currently unavailable. A translation of this leaf is currently unavailable. For more information, contact Dr. Fred Porcheddu.